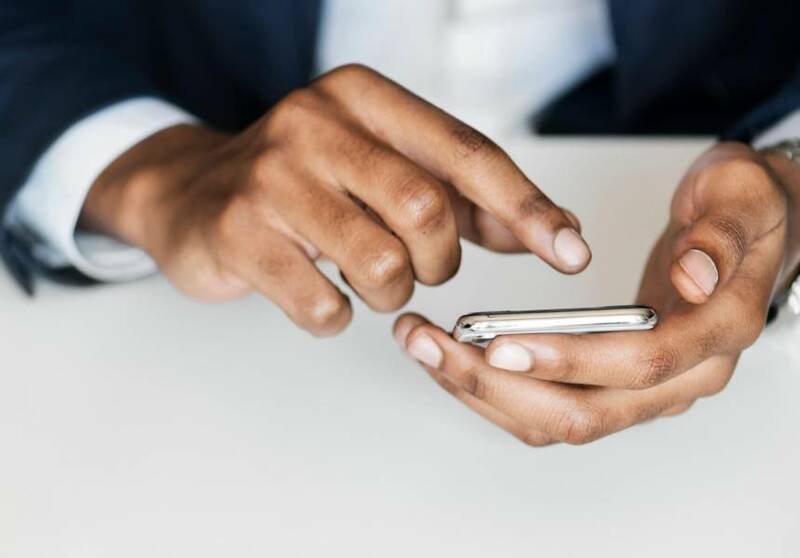 Nearly half (46%) of sales and marketing leaders admit that customers and prospects increasingly want to interact with their brand over social media. Today businesses struggle to create an advertisement that would be efficient and successful. Now almost every brand creates ads on websites, blogs, social media, and networks. But these platforms are flooded with information and became overwhelming for many people. 38% of US adults have installed an ad-blocker to reclaim their online experiences. Here is where Facebook and chatbots can help you out. Facebook is a social network that currently has more than 2 billion users. Its wide audience creates excellent possibilities for advertising. 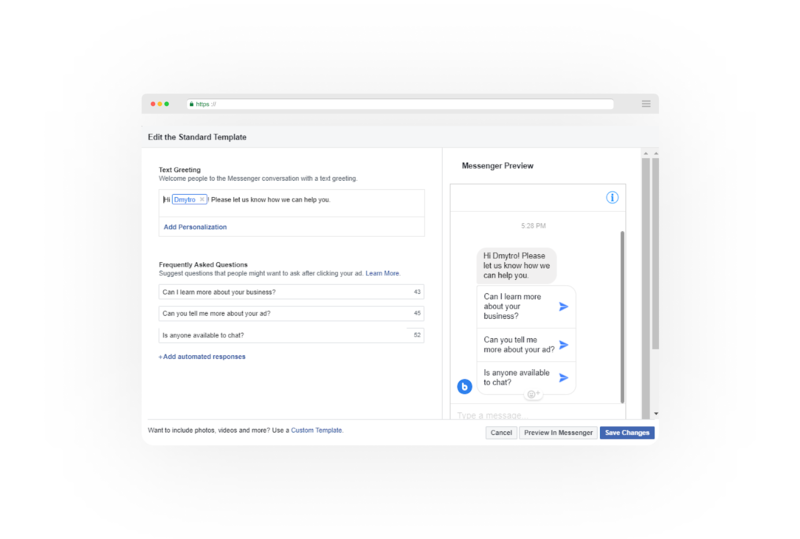 Together with chatbots, Facebook ads offer a great way for a personalized conversation between a business and a customer. Instead of linking an ad from a news feed to another website, now FB Messenger is a destination point for ads. 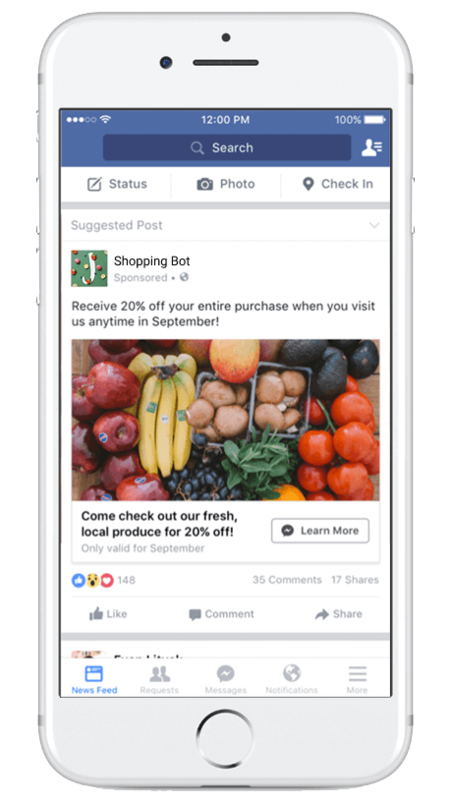 This Facebook feature enables users to instantly communicate with your business by clicking on your ad. To use the full potential of Facebook advertising you need a chatbot first. A chatbot is a service powered by rules and sometimes artificial intelligence. 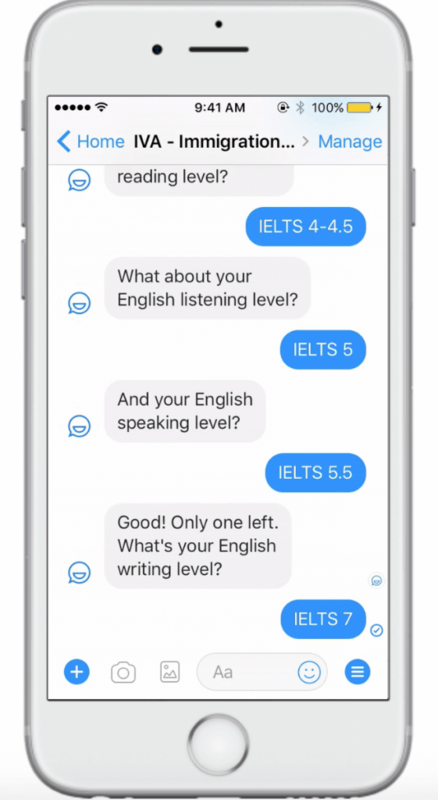 Users communicate with a chatbot via the chat interface, similar to how they would talk to a real person. By creating targeted advertising on Facebook, a user would then come across your ad. 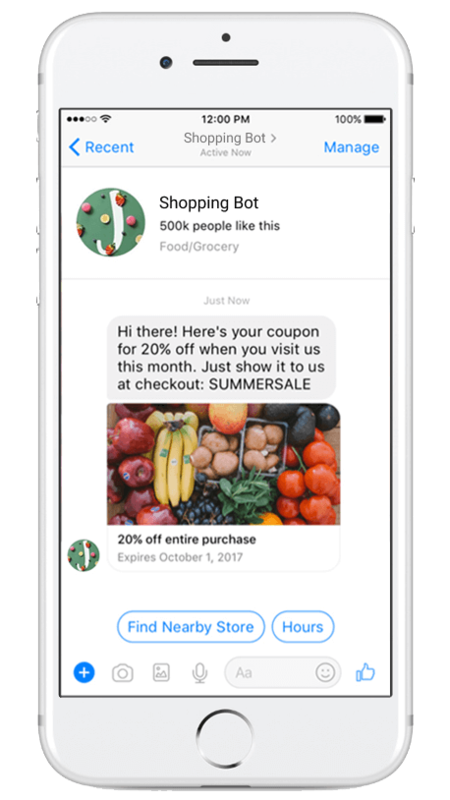 If interested, they would click on the button with CTA where it would start the conversation with a chatbot in Messenger. By instantly getting in touch with the user, a chatbot increases your chances of closing a deal. At the same time, a chatbot qualifies leads so employees won’t spend time on leads that would eventually turn out to be dead ends. A bot would ask a person a few questions and gather the necessary data. Moreover, if your bot is integrated with CRM, information about a lead will automatically be sent there. How your business is going to benefit from chatbot advertising? In today’s fast-paced world people love when everything is done instantly. It means that companies have to figure out ways to accelerate their businesses to not fall behind others. And the faster you can respond to a potential client the more likely the odds you will have to close a deal. People are not willing to wait on the hours to go by to only receive a letter on their email. A study conducted by Harvard Business Review indicates that many companies are too slow to follow up on their leads. Chatbots reach out to a new lead in a matter of seconds at any time. And as we already know, the faster you respond – the better chances to close the deal. Using chatbot advertising creates a personalized customer experience of interacting with the brand at an individual level. 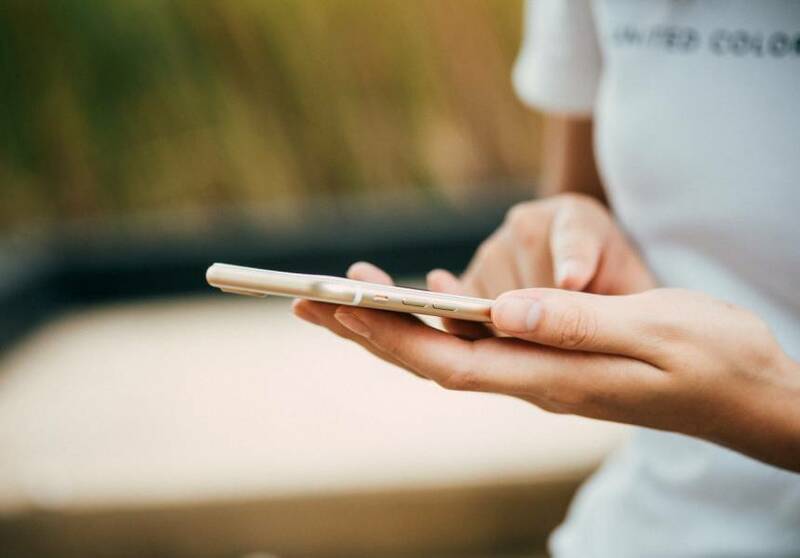 With chatbot advertising, your business can start a conversation that feels natural and makes users feel safer and confident when using your services or buying your product. The other significant advantage about this combination is if you reach a user once, you can send them messages anytime. The next important advantage chatbot advertising has to offer is it keeps a user on the same website, and as an outcome, it reduces the bounce rate. Collecting information about a user through a chatbot is much more reliable than redirecting a person to a different website so they could fill out a registration form on their own. 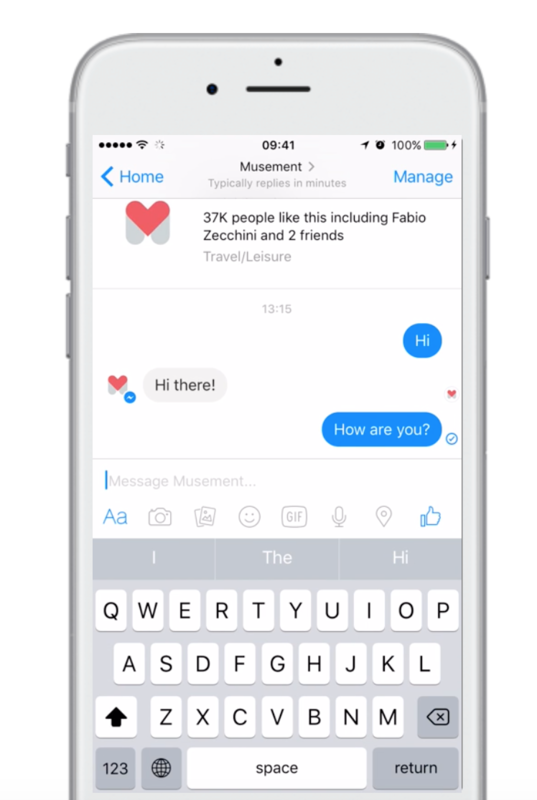 Messenger enables people to ask questions and get instant answers without leaving Facebook. 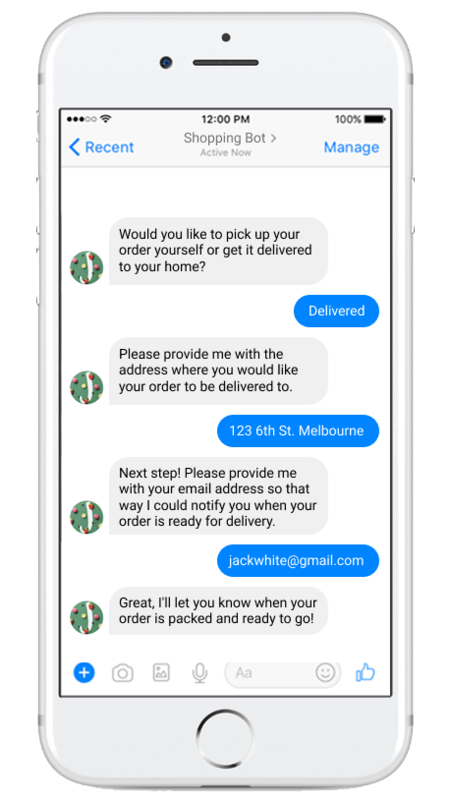 Chatting with a chatbot gives more information not only to your business but for your customers as well. This gives the possibility to create an offer that is much more personalized and tailored to users needs. Facebook states that 53% of consumers are more likely to buy from you if they can message you. Chatbot guides and leads a user through the buying process to the right product. Moreover, Messenger supports payments which sets up a hassle-free purchase without ever leaving Facebook. In the long run, chatbot advertising can have a massive positive impact on sales rates. Chatbot advertising on Facebook enables companies to drive a great amount of local traffic to their business. You can select a specific local audience that lives nearby your office, cafe, restaurant or shop to see your ad. Reaching local people with deal-based offers can boost your sales rate and increase localized brand-awareness. For example, you own a small shop and want more people to get to know about your business. To do so, you can place a targeted advertisement on Facebook that offers people a coupon for a discount if they visit you within the week. You may add a CTA button such as, Send a message or Get a discount or something along these lines. And after that, a chatbot will reach out and offer a discount coupon to people who clicked on your ad. The other thing that shows that Facebook is a powerful platform for advertising is that it’s open and click-through rates are fantastic. The average Messenger open rate is near 80-90% compared to 20% for email. 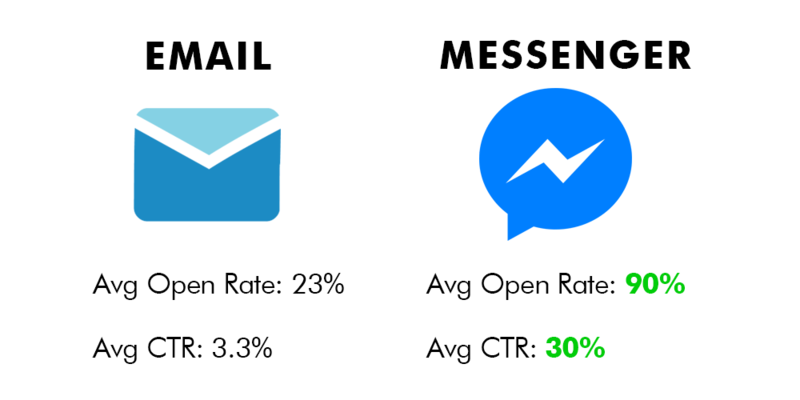 And average CTR (Click Through Rate) on Messenger is 30% and emails CTR is only 3.3%. Using chatbot advertising for remarketing is great. You can re-reach to thousands of people with personalized messages. Sending a customized message gives you a better chance at starting meaningful conversations that will convert in the end. 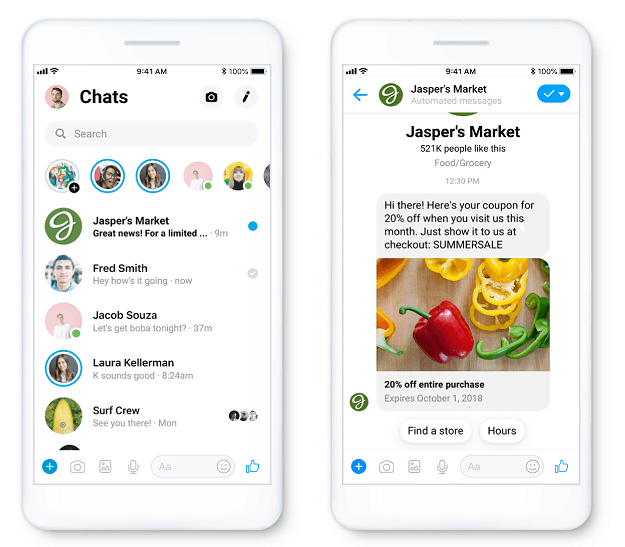 With these ads you are not limited only to users’ news feeds, you can reach back to them naturally with the direct message in their Messenger Inbox. For instance, previously you had a Facebook ad about your seminar. With the chatbot, you can reach to people who have engaged with your ad before and send them a message about a new upcoming workshop that will soon be taking place. Facebook is perfect for fast and efficient remarketing and the possibilities of chatbot advertising there are massive. 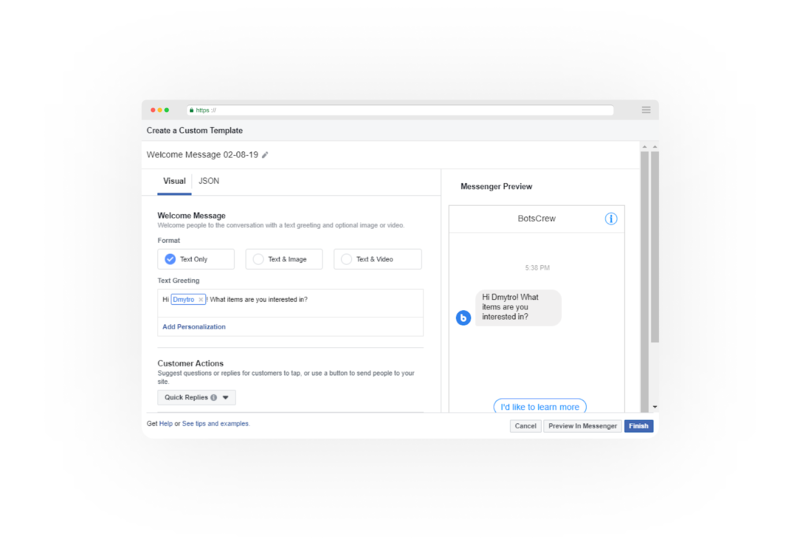 You can also create an ad that will appear right in the user’s Messenger Inbox. This types of ads are called sponsored messages. There are no special labels or headers on the message, so it doesn’t look too promotional scaring people straight away. When a person clicks on the message, he will see the sponsored message that typically consists of text, image, description, button and this time with the “Sponsored” label. Note: You can send Sponsored Messages to those users, who have already engaged with your brand. These ads use Messenger chatbot as a destination point. For example, a user sees an ad displaying a local shop offering a discount coupon with a CTA button (send a message, learn more or get your discount now, etc). When a user reacts to this ad by clicking on the button, it instantly opens a chat in Messenger with a message from a bot. This gives your business the ability to communicate with your current and potential clients directly. So, let’s set up a click-to-messenger ad. 1. If you’re creating an ad for the first time, I recommend you to create a Business Account to manage your business setting easily and in the future. If you have one, skip this step and head to your Facebook Ad Account. 2. Go to the “Campaign” tab and click a green “Create” button in the top left corner. You may be offered to choose between guided and quick creation. The first option is much easier to follow, and I will guide you through this one. 3. Now you see the list of objections. Choose the one that works best for you, but remember that not every objective gives an ability to use messenger as a destination. We’ll break down the “Messages” option. 4. After choosing the objective, you’ll see a field where you can name your campaign, create a split test and turn on budget optimization. Let’s name your campaign. Only you will see this, so pick the name you can easily understand in the future. It’s okay to leave the other two options as they are at this stage. 5. The next step would be configuring your ad set options. Give a recognizable name to your ad set and choose a message destination. If you don’t have a business represented in WhatsApp, you can pass through this option and concentrate on Messenger. You can refer to the “Messenger Destinations” section above or see hints to help you decide with message destination. We’ll stick to the “Click to Messenger” option for now. 6. Let’s move to targeting. 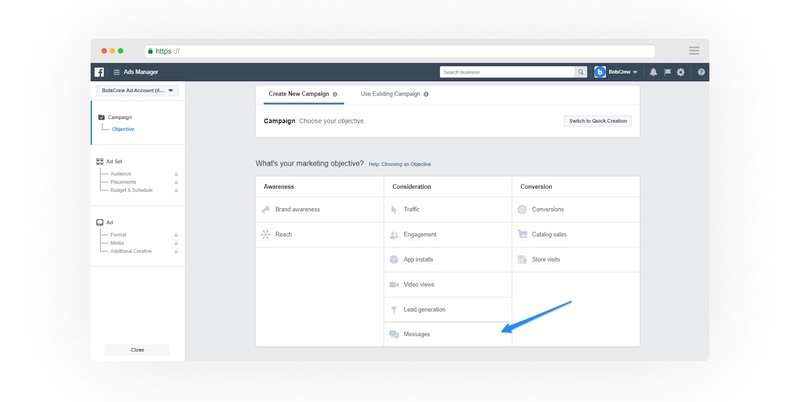 Facebook enables a variety of targeting options, but let’s start with the basic ones and then move forward. The way you speak with a teenager from LA differs from a 40 years old bank worker somewhere in London, so be thoughtful about segmenting your audience. Start with the most valuable group you understand and can personalize your message for. Hint: you can analyze your existing clients base and try to identify patterns you may apply to targeting. 7. Now you can move to a detailed targeting. Here you can choose more advanced parameters based on the knowledge or assumptions about your target audience. Take some time to explore the available options. It’s important to remember that you can narrow down your audience or exclude a certain group from your targeting. As you may see in the example, I’ve added 3 different blocks with targeting options. You may also consider that the first block contains two targeting options. 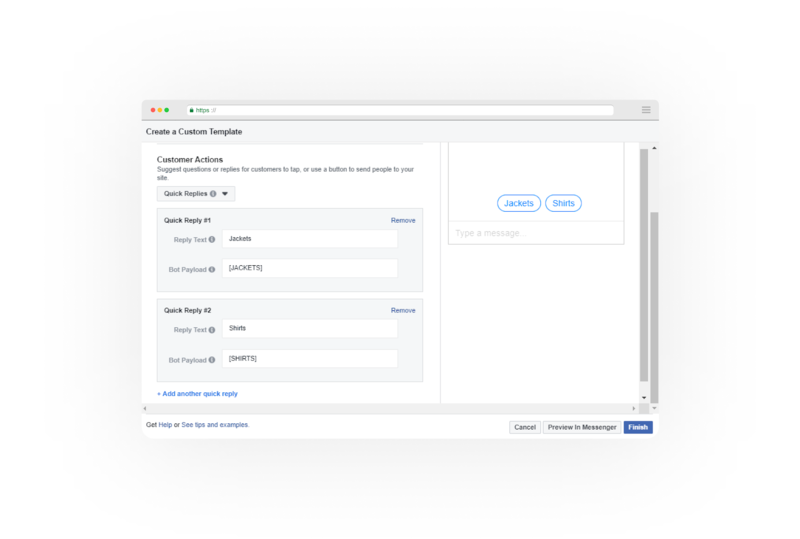 Add as many parameters as you wish, but keep your audience broad enough for Facebook to show your ad. Two to five thousand would be okay for the beginning. 8. Let’s move to placements. You can choose Automatic Placements, which is a recommended option from Facebook, or Edit Placements and select the places you want to appear. While you may not know which placements will work best for you, it is better to create a few similar ad sets, but for different placements. This way you’ll see well-performing and underperforming placements instead of an average result. If you know your audience well and understand the platforms they use, feel free to narrow down the placement options. You can also choose to target only mobile or desktop devices or live it as it is to target both. 9. Now you can choose your budget and schedule. You can choose between Daily and Lifetime budget. It’s up to you to decide what works best for your business. While spending your budget daily is more smooth, the Lifetime option enables more precise scheduling. Both options give an ability to choose the Start and End dates. What’s noticeable for the lifetime budget option is that you can select specific dates and hours (in your or your user’s time zone) for your ads to appear. It’s a nice option if you understand how the day of your audience looks like or at least track the activity patterns on your page. 10. As soon as you’re done with Ad Set configuration, you can move to the Ad section. Here you can define how the ad will appear and configure the Messenger setup. But let’s start small. Name your ad and choose an identity that will represent you on the platforms. Usually, it is your Facebook and/or Instagram page. 11. Choose the format of your ad. There are a carousel and single image/video options available. It depends on the type of business and the audience which format will work better, so it’s up to you to decide where to start. As always, you can create two ads to test. We’ll consider a single image option as an example. You can upload your image or choose between stock images available for free. You can also make a video out of pictures right on Facebook. Whatever you prefer, be picky about your visuals. It’s the first interaction point between you and your audience, so make sure it won’t be the last one. 12. In the Ad Setup section, you’ll need to add text, headline, description, and a call to action for your ad. You can read some best practices on writing facebook ads here. You can preview your ad on different platforms and devices in the Ad Setup section. If it’s hard to keep the appearance of the add equally good on different platforms and devices, you can take a few steps back and split your ad set by placements and device types. 13. The part that differs the process from the ordinary way is Messenger Setup. Here you can configure the way your bot will start a conversation with those who have clicked the ad. It is necessary to pay attention to this section and provide value right away to keep users engaged. In this section, you can choose between creating your own welcome experience and a bot’s “Get started” screen, which I do not recommend since it gives little to no context to a user came from an ad. Your welcome experience can be “Standard” or “Custom”. While “Standard” is a good option for a simple automated response, “Custom” gives broader space for tailoring your message to context. 14. Let’s create a custom message. If you have a developer, you can pass your requirements on how the welcome message should look like and ask them to send it back to you as a JSON file. After receiving a code, you need to go to a corresponding tab and replace a standard facebook template with your snippet of code. Make sure there’s nothing left from the standard template that may break the structure of your code. Hint: Ask a developer to send you as a code snippet, not as a text message. If ignored, the quotation marks within the code will prevent it from working correctly. Now let’s talk about the visual editor. formats of the welcome message. 15. Edit your greeting text in a corresponding field and choose customer actions that’ll work best for your case. You can choose between FAQ, buttons, and quick replies. The hints in the Ads Manager will help you to decide. I’ve stopped on a quick replies option. Here you can add replies to your bot and see its appearance right in the same window. Simple. 16. Now you need to connect your bot to the quick replies you’ve just created. You can do it by clicking a “Connect Your Bot” button and then adding a corresponding Bot Payload. A Bot Payload is a unique value assigned to each message of your bot. By adding a Bot Payload, you say which message of the flow a particular quick reply should return. If you have troubles with it, it is better to reach out a developer to provide it to you. In case you use chatbot builders like Manychat, there should be no problems setting up your custom welcome message. However, If you have a custom chatbot that cannot be created using simple builders, it’s handy to request a list of payloads from a developer to use in the future. If you’d like to have a platform to manage custom chatbots using a simple interface and set up ads painless, you can download our platform presentation to learn more. 17. Launch your ad and keep track of the results. Analyze, make continuous improvements, and turn off underperforming ads to optimize your spendings. 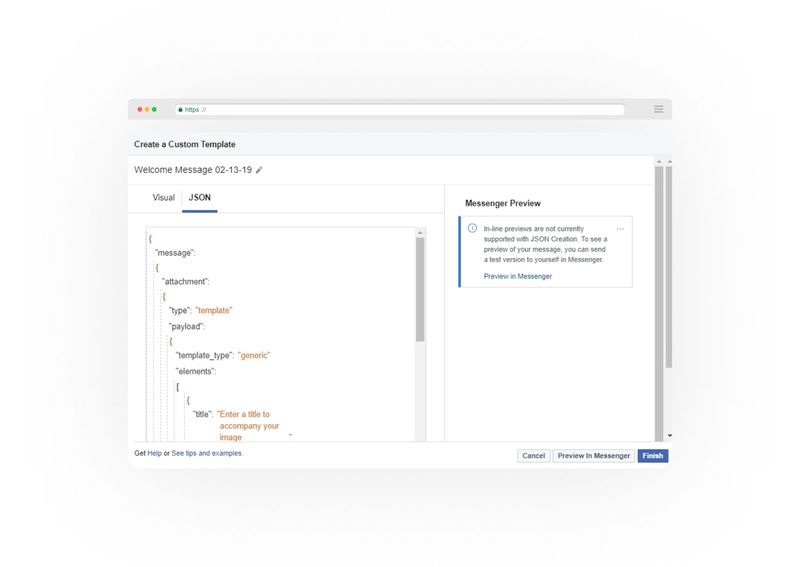 Facebook enables businesses to create efficient and targeted advertising that in combination with a chatbot work as great conversation starters. There is no need to explain how important real natural conversations are with potential clients for companies. Combination of Facebook ads and chatbots opens a new horizon of possibilities for successful advertising and marketing. Why Is It Essential To Build A Good CUI?